Owen’s middle school baseball team won yesterday 13-0 against the Marist Brothers International School (MBIS). 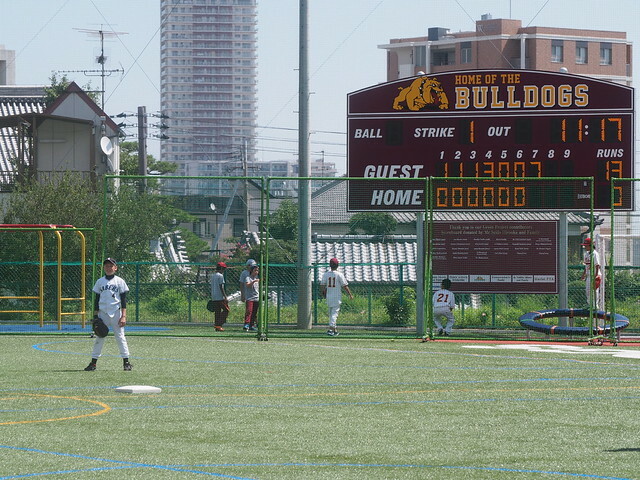 We made the long trip across the Koshien metro area to go to the MBIS field, which is in Suma, an area in the west part of Kobe. The Sabers outclassed the host Bulldogs. Owen pitched innings 4 through 6, playing a part in the shutout along with two other pitchers. He hasn’t played much baseball and is tentative, but he has some athletic talent. Owen also played centerfield. At the plate, he had a ground rule double, walked twice and got on by an error. He also made some nice fielding plays on the mound. He has not allowed a run in the three games he has pitched. That is more a statement of the quality of opposition to his ability, but I really enjoy watching him play! Leading off of first base. 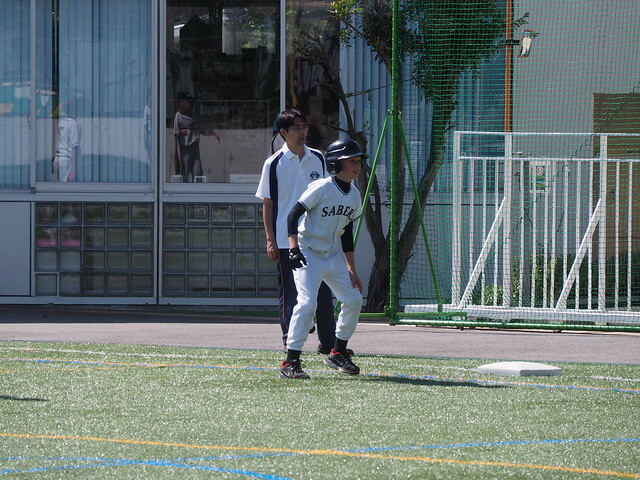 The Saber middle school A team is now 3-0, with victories over Canadian Academy, Nagoya International School, and MBIS. 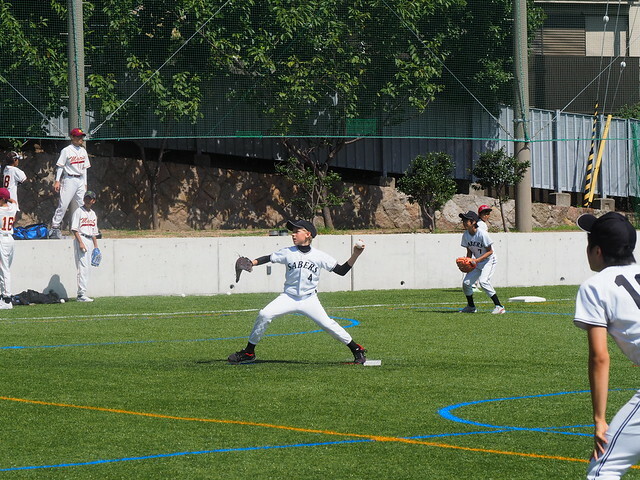 Baseball is the most popular sport in Japan and with soccer, it is the best sport the school offers.